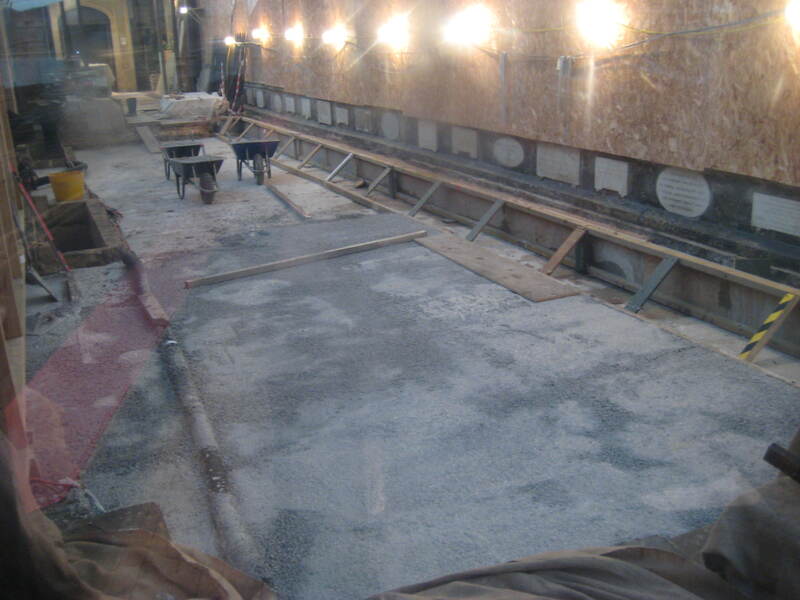 Good to see work proceeding a pace on the north side of the nave of Bath Abbey where the trial excavation and void filling exercise comes nearer to completion. An insulating scree is currently being laid and then the new central heating pipes will be set out and covered. This then means the floor can be re-laid and the heating tested. Remember, if Heritage Lottery funding is forthcoming, this exercise will be repeated across the whole floor of the Abbey where further voids will need filling. The long term aim is to use the natural thermal waters of Bath to provide the heating – rather than running to waste straight from the Roman Baths into the River Avon as they have for two thousand years! 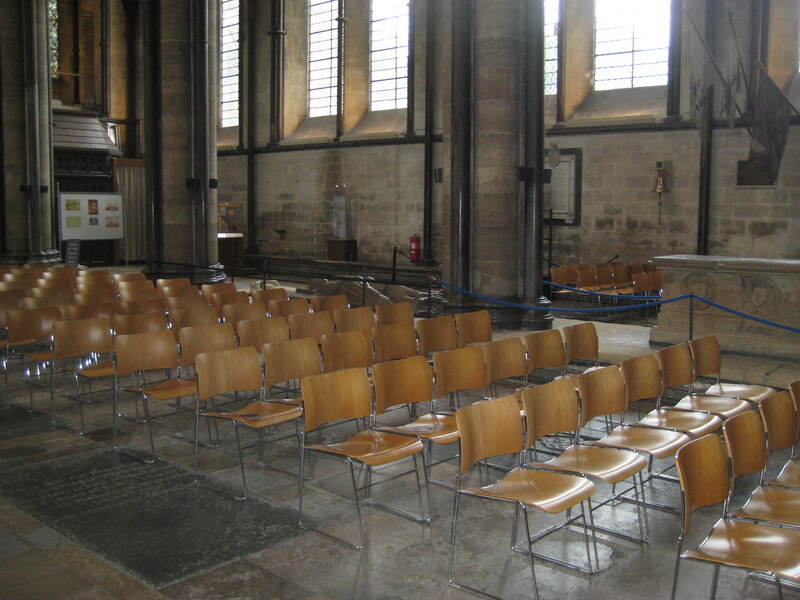 There is also a plan to consider removing the pews and allowing individual seating that can be arranged to suit an Abbey event. 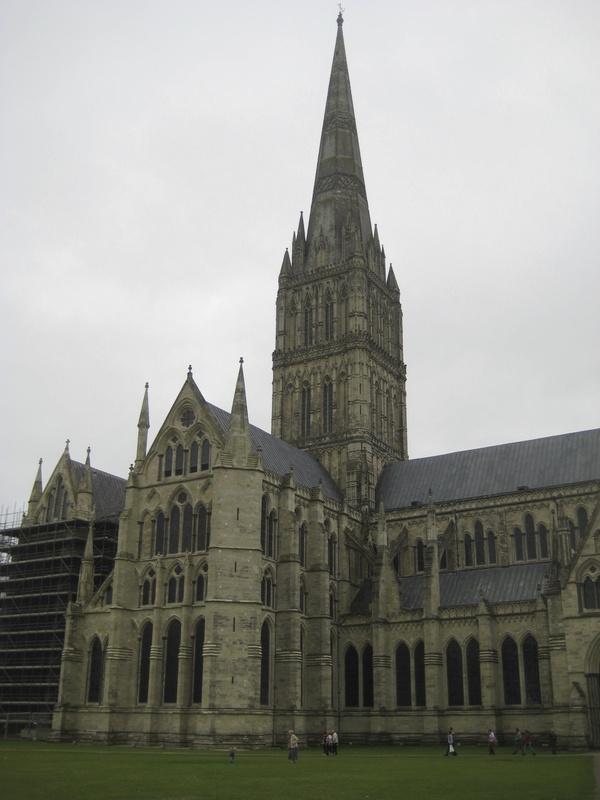 There is an information board currently on display in the nave that shows the church as it was prior to the pews being installed in the 1860’s. 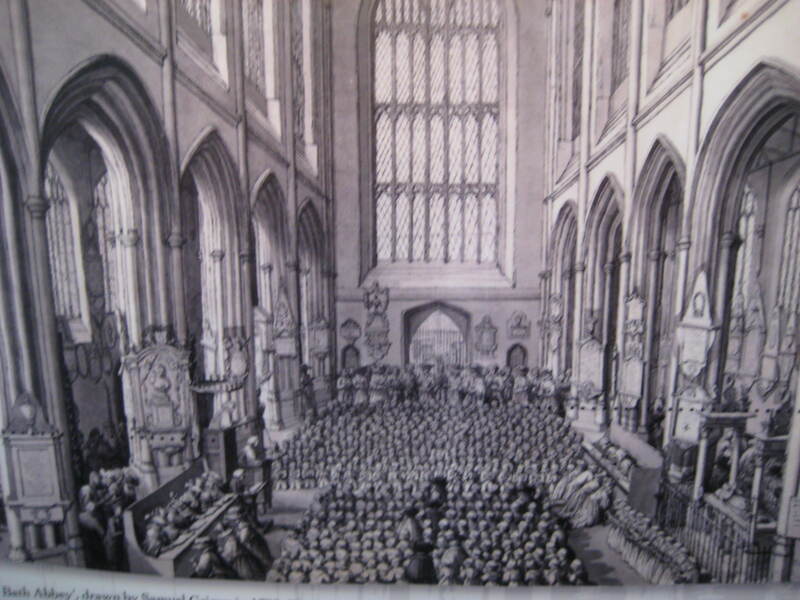 Clergy and important people would have sat in Chancel pews. 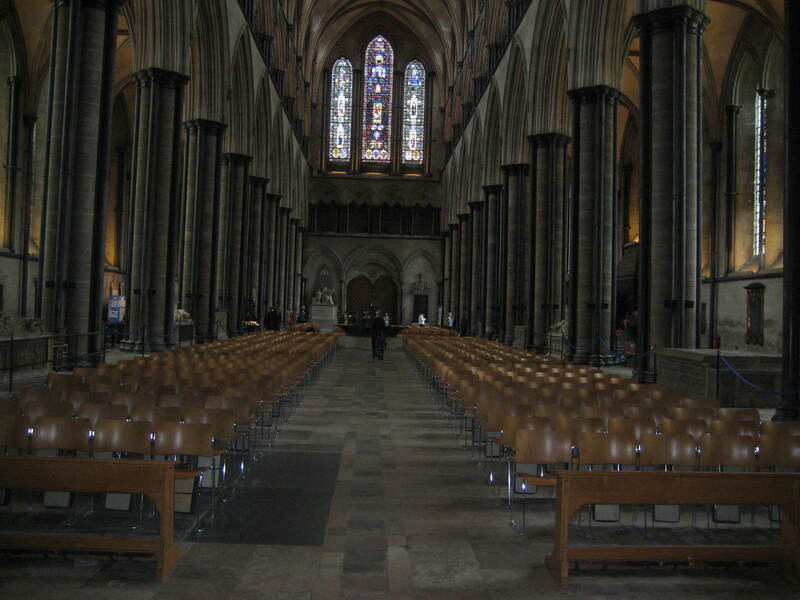 I was in Salisbury Cathedral just recently and took these pictures of the interior with individual chairs set out. I am sure that stripped of seating Bath Abbey will look twice as big!